Adventure is the base of our activities - fairness is the heart of our vision! 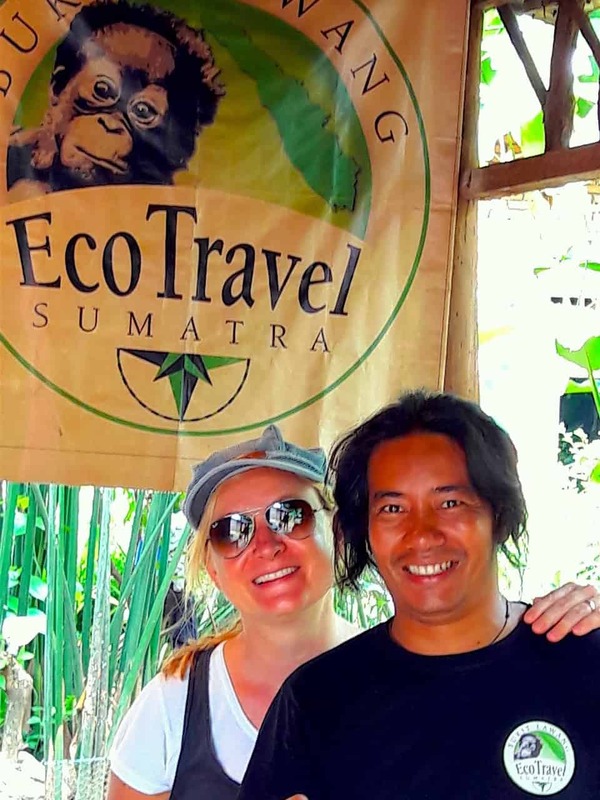 Christina, a newspaper journalist and head of the disclosed agent Sumatra EcoTravel, is living in Germany and Sumatra. 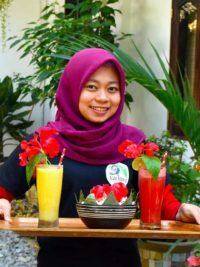 She is a specialist for South East Asian travel and particularly fond of Northern Sumatra. Travelling and discovering the beauty of other cultures has been her passion for more than 25 years. 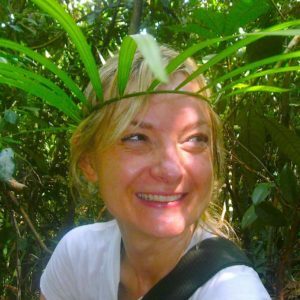 Christina will be your main contact via email, answering questions and prepare bookings. 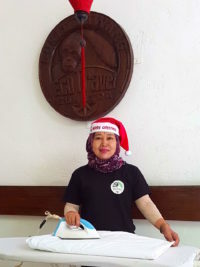 Her vision is to promote sustainable, responsible tourism in the Gunung Leuser National Park region – tourism that is fair, safe and affordable for travellers. 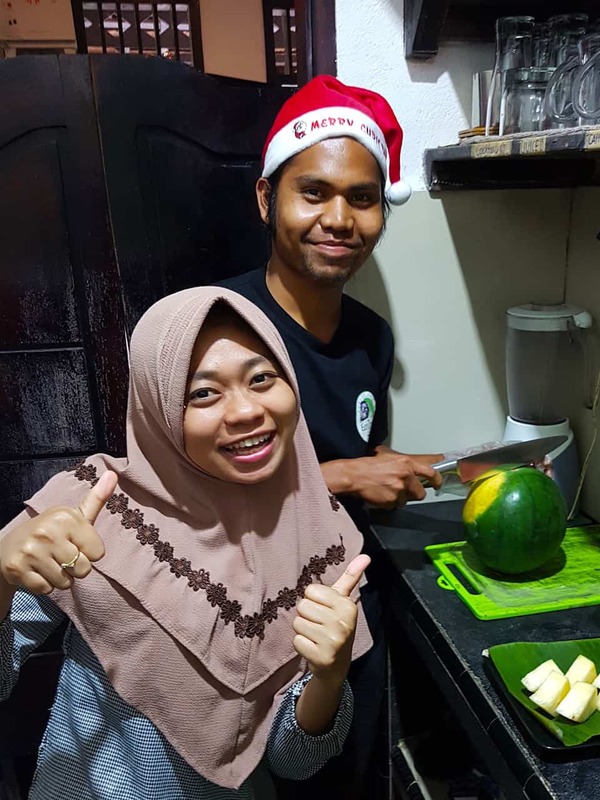 With new ideas, innovative concepts and by advanced management of client arrangements she has been supporting her partner Kembar for many years. She likes relaxing in hammocks, white sandy beaches, green nature, pumpkin curry, the sound of the Bohorok River and EcoTravel Cottages’ housecat Miezi; Christina does not like Durian fruits, rain and cockroaches. 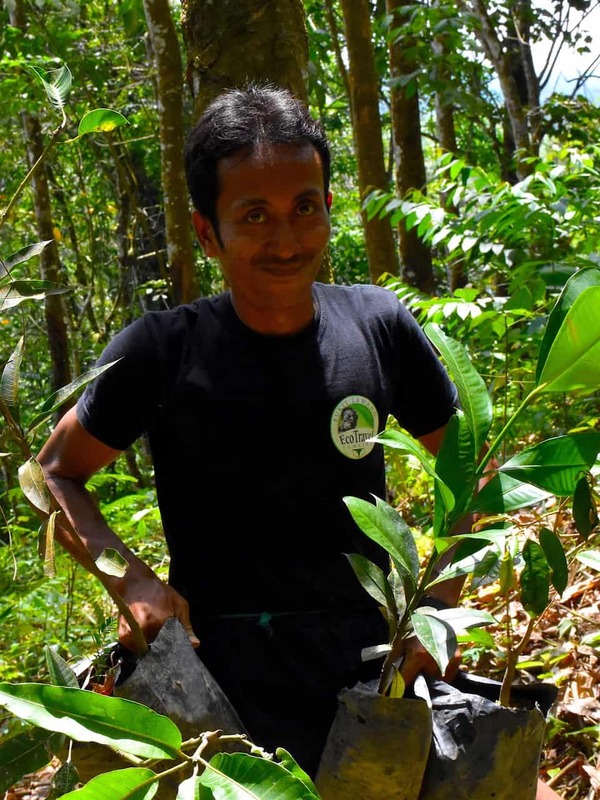 Sumatra EcoTravel supports tourism in a region with hardly any jobs. At the same time we aim to control visitor numbers as well as visitors’ behaviour in order to avoid negative impact on social and ecological systems. With tours operated by EcoTravel Bukit Lawang your support for the environment and for the well-being of animals in Gunung Leuser National Park is optimized. 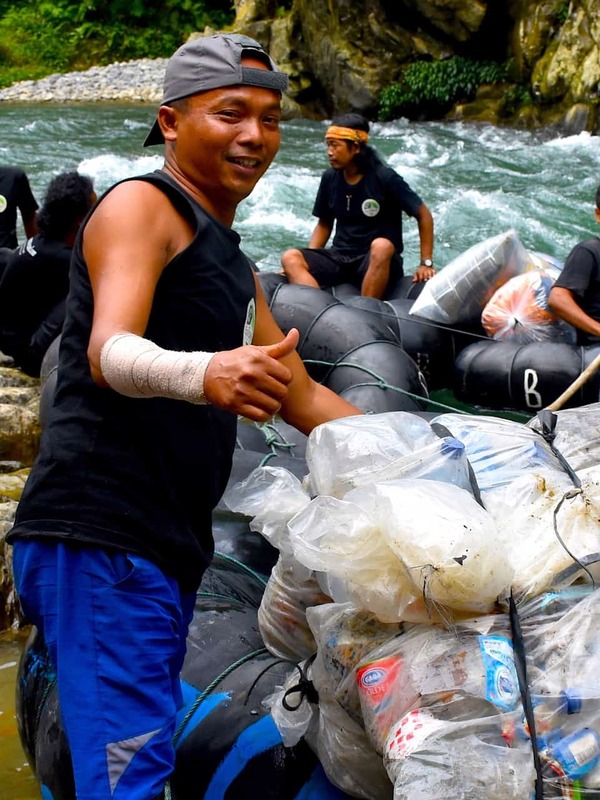 Equally important is the support of local communities around Bukit Lawang. Being deeply rooted in their region our team will help you discover the rainforest and the Indonesian culture in a unique and innovative way. 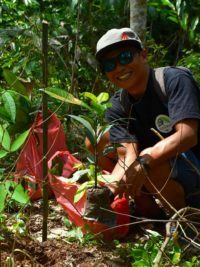 So along with our sustainable jungle treks it’s the exploration of local life that is at the heart of many other tours. 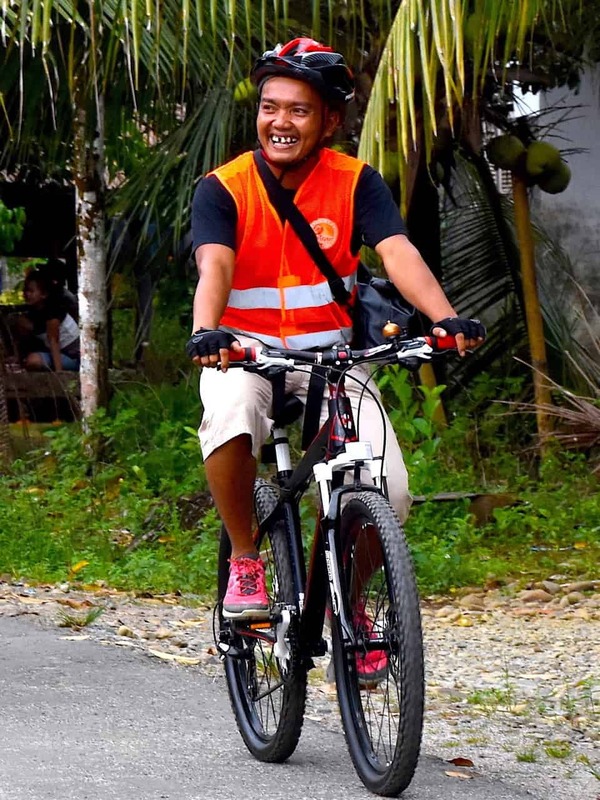 From 2013 we have been pioneering with mountain bike trips to the villages around Bukit Lawang. 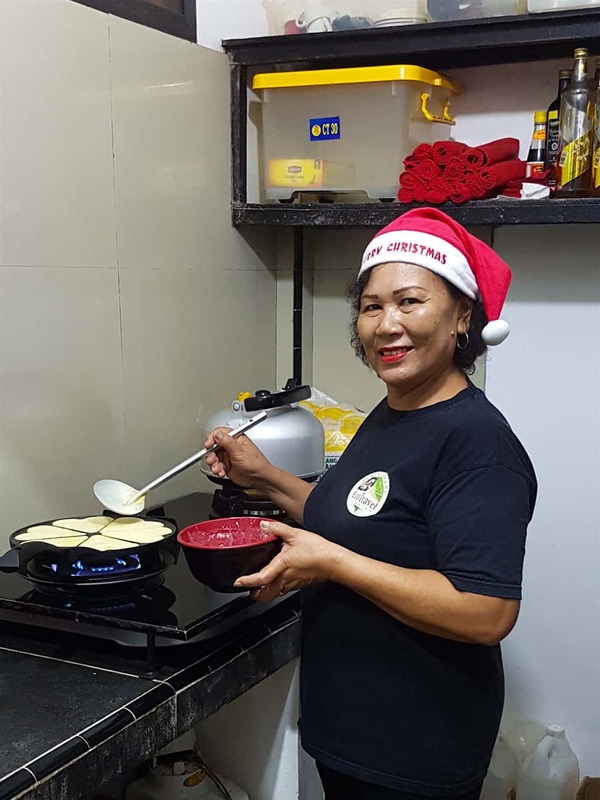 On top of these adventure tours we have been offering homestays with local families since 2011. Our guides will be acting as interpreters and make EcoTravel guests feel at ease with the Northern Sumatra way of life! EcoTravel Bukit Lawang is a family owned local business offering sustainable ecotourism in the Gunung Leuser National Park area. Due to its continuous efforts our team has been awarded “Eco Friendly Tour Operator of the Year”, “Travel & Hospitility Award Winner” and received the “Hall Of Fame Status” on Tripadvisor. As the team of our tour operator are local, they are in constant touch with their communities and families. 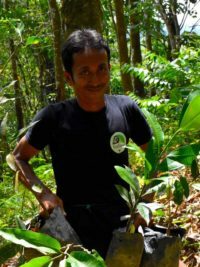 The English speaking guides are certified by the local ITGA-HPI and have excellent knowledge of plants and animals living in the rainforest. 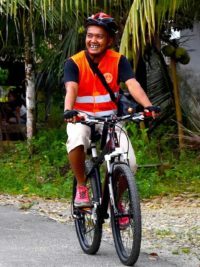 The focus of our tours is on quality and safety rather than quantity. Since 2014 we have been more than happy to accommodate our touring guests in our frequently awarded EcoTravel Cottages in Bukit Lawang – the first accommodation in town offering daily cleaning service and western bathroom with hot water shower. We are proud of our small Eco-Boutique hotel in the jungle, our little paradise! 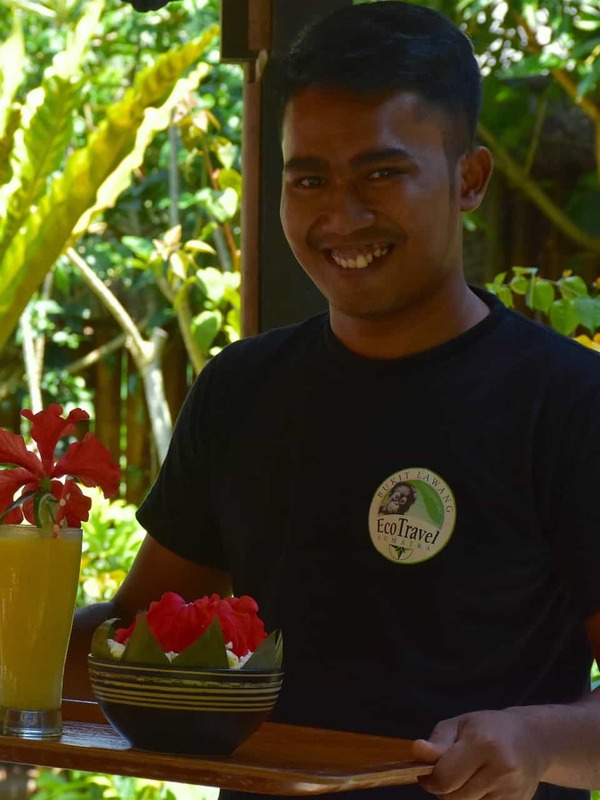 All our staff are from nearby villages. 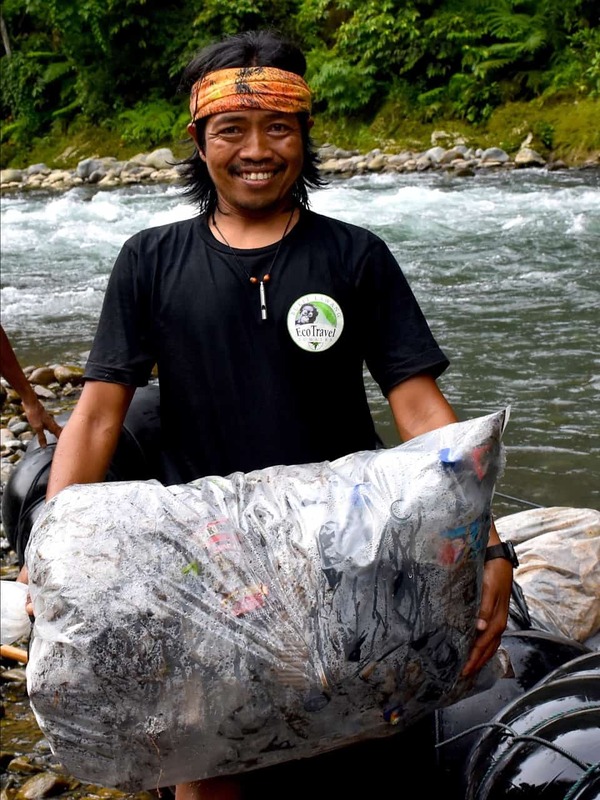 We follow ecological guidelines by managing different types of waste and avoiding plastic. 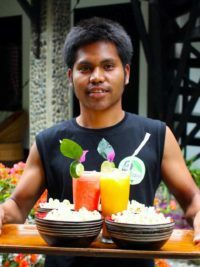 Most of the food we offer is sourced locally. Drinking water is available for free to all our guests during their stay. And what is the most important effect of all these efforts? Our 10-strong team is able to pamper a maximum of 14 guests in 5 rooms – you shouldn’t ask for less! Kembar, founding director of North Sumatran tour operator EcoTravel Bukit Lawang („PT. 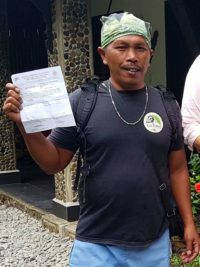 SUMATERA ECO WISATA BUKIT LAWANG“), was born in the small village of Bukit Lawang and has spent the first 30 years of his life on the edge of the jungle. 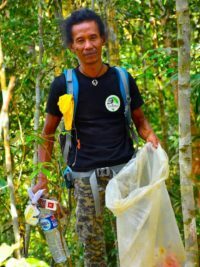 He is a specialist for Gunung Leuser National Park and has been guiding professionally since 1999. 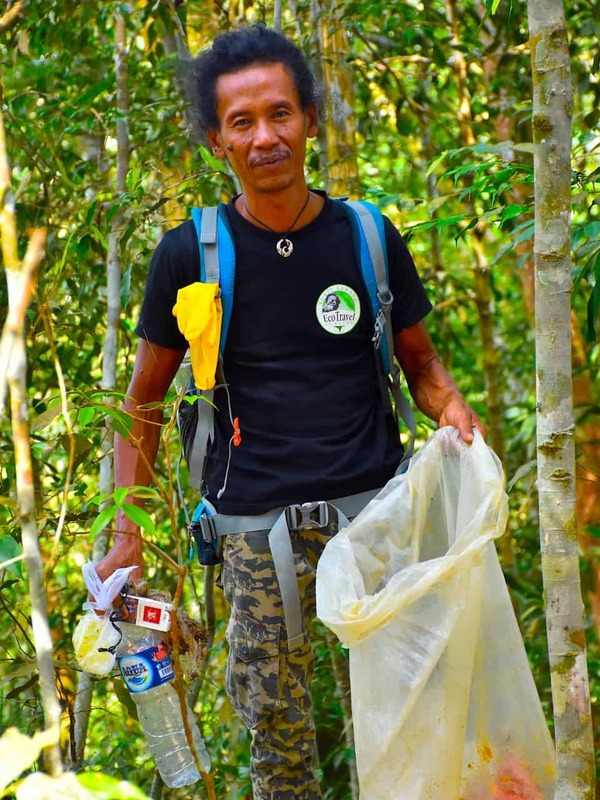 He is deeply commited to the conservation of the environment and the improvement of the well-being of local people and wildlife of his native region. 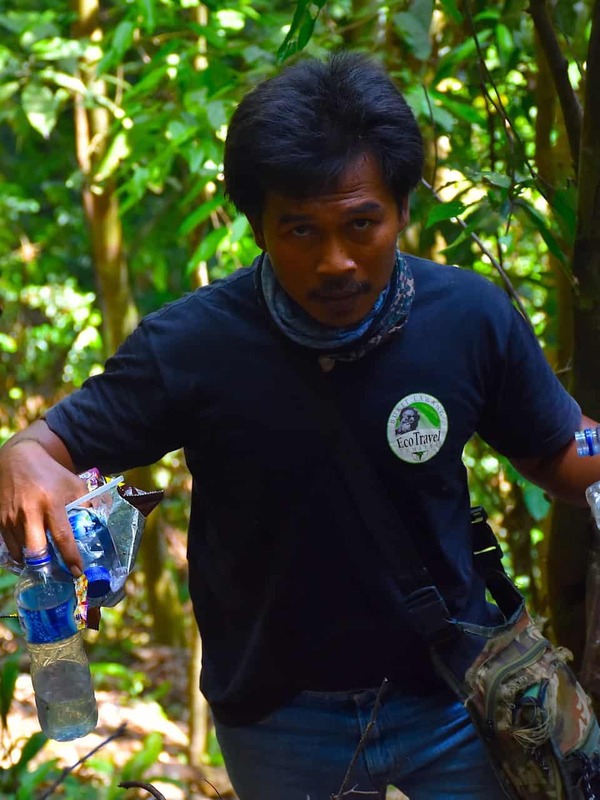 In 2010 he started to build a well-trained guiding team. 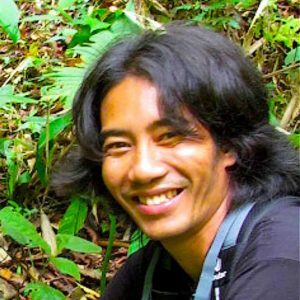 In 2011 he founded his tour operator “EcoTravel”, followed by their initiative “Keep The Jungle Green!” in 2013 and “EcoTravel Cottages” in 2014. After meeting his German partner he splits his working year between Bukit Lawang and Europe. 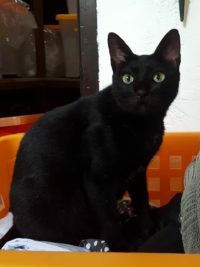 He likes German sausages and Christmas markets; he does not like big cities, airplanes and cold temperatures.